Bollywoo: Ek Tha Tiger Second Highest Grosses! The first week collection of EK THA TIGER are earth shattering to say the least. 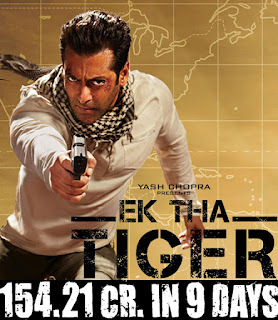 Ek Tha Tiger has became the second highest grosser after collecting Rs. 154.21 Crores in just the first week of release demolishing several records along the way. 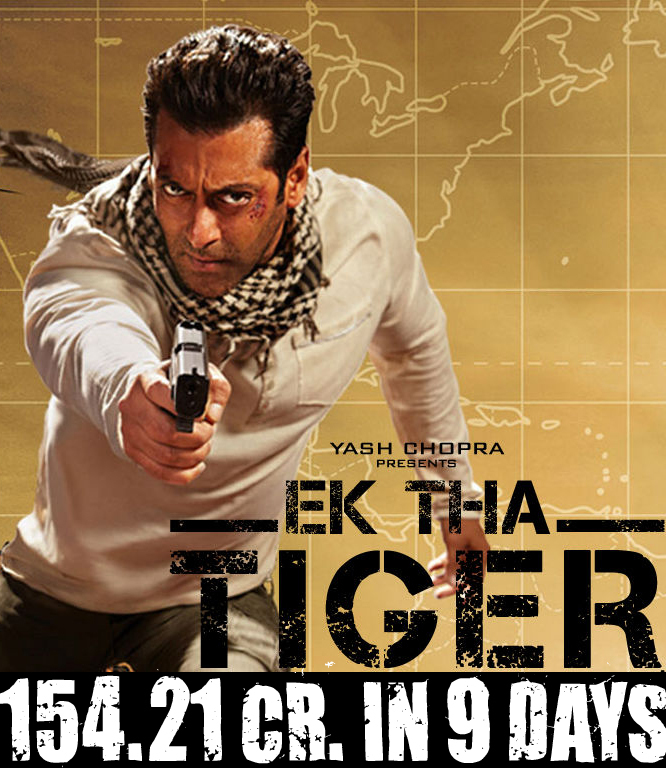 Ek Tha Tiger has raked in almost twice as much moolah as 3 Idiots managed in it's first week. It took Dabangg 10 days to collect 106 Crores and break the 100 Crores mark. Bodyguard manage 121 crores in its 9 day extended first week and 3 idiot generated 116 crores in its first two weeks. Ek Tha Tiger has already beaten the total collections of Dabangg (147 Crores) and Bodyguard (148 Crores) which dropped to the number 3 and 4 positions in Nett Box Office Collections (NBOC). Ek Tha Tiger is well on its way to reaching the 202 Crores NBOC record held by 3 Idiots and becoming the highest grossing film in history. Looks like it'll be Salman not beloved Shahrukh who rescues Yash Raj Films from their inevitable demise.